Auburn University School of Forestry and Wildlife Sciences donors recently joined with members of Auburn’s administration, faculty, and staff to celebrate the successful close of Because This is Auburn — A Campaign for Auburn University. 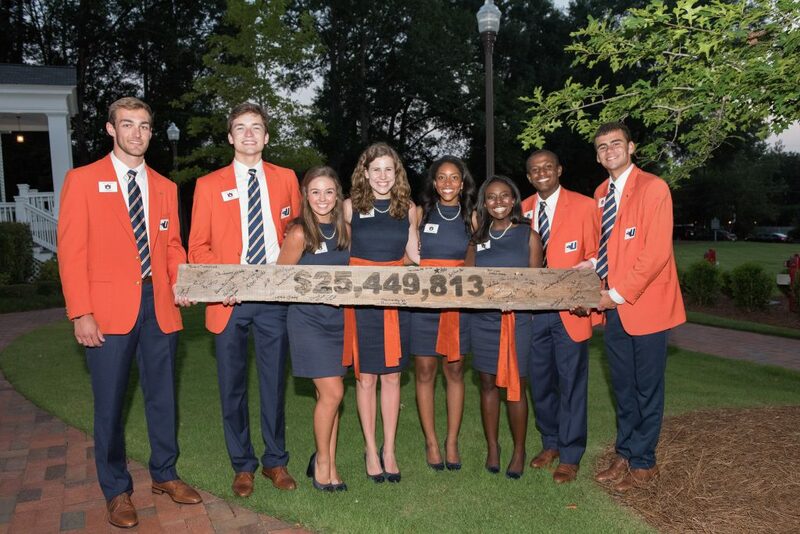 The reception and dinner, held at Auburn’s historic Pebble Hill antebellum plantation house, was dedicated to donors who contributed toward the $19.8 million goal for the School of Forestry and Wildlife Sciences and the $1 billion goal overall for Auburn University. The School of Forestry and Wildlife Sciences raised $25,449,813, representing 128 percent of its total campaign goal. Additionally, the school was the first constituency in the entire university to reach its goal in July 2017, six months ahead of schedule. Gifts to the campaign supported the creation of five new degrees, thirty new scholarships, and five new professorships. Philanthropic support also funded the Solon and Martha Dixon Foundation Learning Center, the naming of the EBSCO Atrium and the McCrary Institute, and the creation of the Auburn Oaks at Samford Park, among other initiatives supporting faculty and student development. Dean Janaki Alavalapati acted as master of ceremony, providing opening remarks and grateful acknowledgement of Campaign Leadership Team Chair Marc Walley and Vice President for Development and President of the Auburn University Foundation Jane DiFolco Parker, before inviting Auburn University’s President Steven Leath to the podium. On behalf of Auburn, President Leath extended his gratitude to the school’s donors, emphasizing the significant impact their investment would have within the school and world for generations to come. “It is here that our future foresters, wildlife biologists, and natural resource managers will rise to take their place in this world, changing our communities, the state, the nation, and the world,” stated Leath. As one of the many accomplished students who have benefitted from the generosity of donors, special guest and natural resources management student, Mary Jo Berkstresser, shared the outcomes of her experience as recipient of seven scholarships, including the Natural Resources Annual Scholarship, Dan Moultrie Scholarship, and Mamie Hardy Scholarship. “In addition to academic support, scholarships have enabled me to participate in a life-changing study abroad trip to New Zealand and Fiji,” stated Berkstresser. “It gave me an opportunity to gain practical, real-world experience in sustainability, globalization, economic development, climate change, and tourism – which will serve me well as I enter Peace Corps after graduation and then in my future career as an environmental educator,” said Berkstesser. Dean Alavalapati then invited Campaign Leadership Team Chair Marc Walley to the podium where he acknowledged fellow committee members, former School of Forestry and Wildlife Sciences Deans Richard Brinker and Emmett Thompson, Joe Roberson, Ronnie Williams, Richard Hall, Jim King, Jeff Bentley, Amanda Littrell, Don Heath, and Art Dyas. 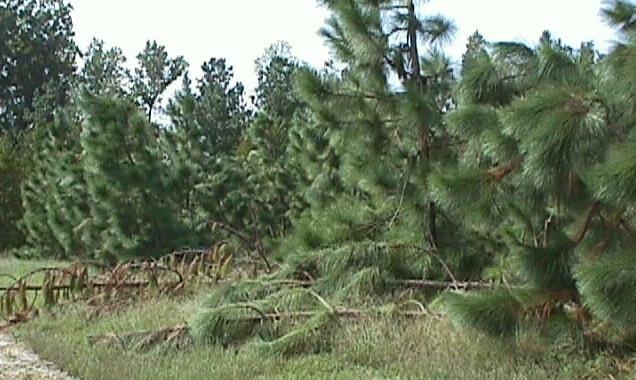 He also recognized the campaign leadership and vision provided by School of Forestry and Wildlife Sciences former Dean and Professor James Shepard and the dedication and hard work of the school’s development team, Director Heather Crozier and Coordinator Sharon Tatum, in making that vision a reality. Walley reflected on the successes of multiple Tiger Giving Day projects held during the campaign, as well as landmark events, such as the 40th anniversary of the first African-American graduate and the establishment of the African-American Alumni Endowed Scholarship, created in honor of the milestone. “This success rested on the shoulders of 6,559 donors to the school during the campaign, including the 1,726 new donors who gave to the school for the first time,” stated Walley. To commemorate the occasion, donors were invited to sign a section of timber that had been split using the school’s new portable sawmill, purchased with funds from one of the school’s successful Tiger Giving Day projects, and etched with the campaign total. Visitors to the School of Forestry and Wildlife Sciences will find the timber proudly displayed in the halls of the school to commemorate the tremendous outpouring of support from donors to the historical campaign.